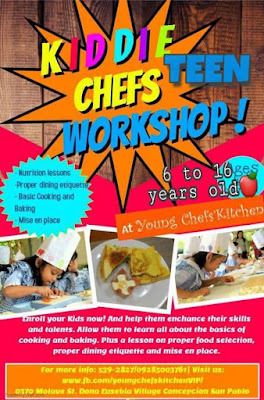 Traveling to Korea but couldn't make it in time for the cherry blossom festivals? Don't fret! Springtime in Korea isn't just about cherry blossoms. In fact, the country hosts a cornucopia of festivals all throughout the months of April and May - some celebrating the (other) flowers in bloom, while others celebrating culture, arts, and even food. Here is a guide to some of the best festivals that will make your spring trip to Korea even more memorable. If you're visiting the country during these times, do seek them out and enjoy the spirit of rebirth, renewal, and rejuvenation, which is exactly what spring is all about. Goryeosan Mountain in Incheon earned the monicker 'pink mountain' because in the spring, it transforms into a stunning beauty carpeted with vivid pink and magenta azaleas. This mountain is one of the most popular destinations outside of Seoul, attracting more than 400,000 visitors each year. 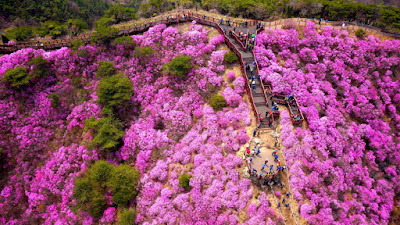 During the Azalea Festival, several walking/hiking courses are offered to visitors, all between 1 to 2 hours long. You'll walk through a myriad of pink and purple flowers to reach the peak of the mountain, and get to enjoy the breathtaking scenery of the West Sea and a glimpse of the North Korean coastline. 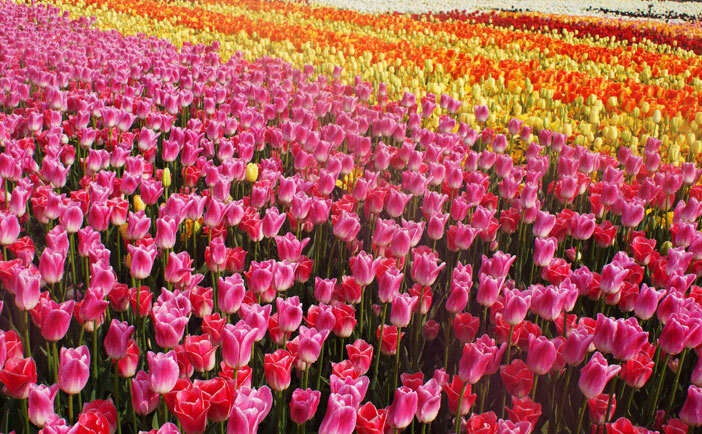 Colorful tulips at the Taean International Tulip Festival. Hailed as one of the top five tulip festivals in the world, the Taean International Tulip Festival showcases over 1.5 million tulips from over 300 different species, as well as beautiful displays of spring blooms such as lilies, pansies, daffodils, lupine, and canola. This festival is recognized by the World Tulip Summit Society and takes place at the Korea Flower Park a 30-acre flower theme park where you can walk among gorgeous spring flowers and enjoy the beautiful glow of the Taean sunset. To get there, head to Dong Seoul Bus Terminal and take an intercity bus to Taean. From Taean Intercity Bus Terminal, take a village bus bound for Gomseom and get off at Morenon Bus Stop. 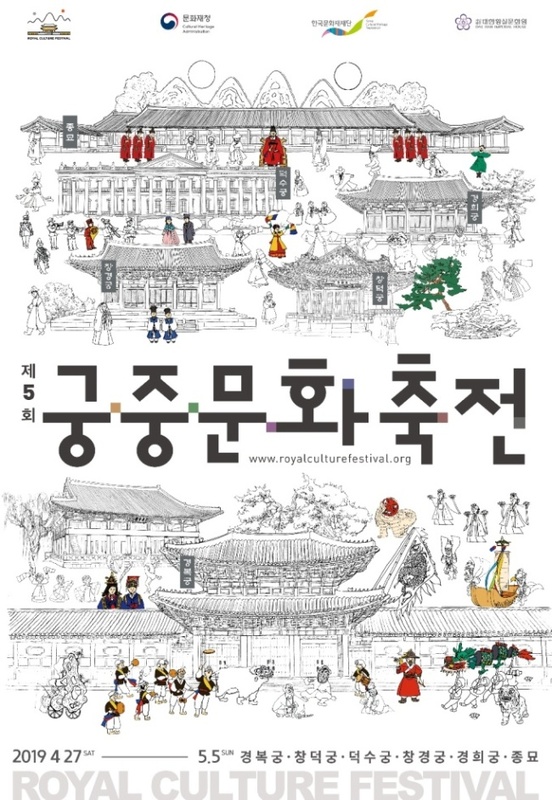 One of my favorite cultural festivals in Seoul, the Royal Culture Festival is the perfect opportunity for tourists to learn more about Korea's royal palaces and delve deeper into Korean culture. 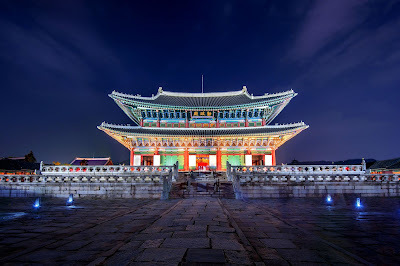 During the festival, Gyeongbokgung Palace, Changdeokgung Palace, Changgyeonggung Palace, Deoksugung Palace, and Jongmyo Shrine are open to the public for free, and host an array of cultural programs, performances, exhibitions, and experience zones. Some of these palaces will be open until night time, though the special evening admissions come with a small fee. Promotional poster for the 2019 Royal Culture Festival. This year's Royal Culture Festival promises to be a very exciting one as it aims to present Korea's rich history and culture through state-of-the-art technology. A special augmented reality (AR) game will be available at Changdeokgung Palace during the nine-day event, while Gyeongbokgung Palace will host a performance chronicling the Gyeonghoeru pavilion’s construction process using 3D technology. And for the first time since the festival's inception, Gyeonghuigung Palace will join in the revelry and will host traditional dance performances using robots. Changdeokgung Palace - Take Bus 100, 102, 104, 90S tour bus or 91S tour bus. Changgyeonggung Palace - Take Bus 100, 102, 104, 90S tour bus or 91S tour bus. Jongmyo Shrine - Jongno 3(sam)-ga Station (Seoul Subway Line 1, 3 or 5). A prelude to Buddha's birthday, the Lotus Lantern Festival (Yeong Deung Hoe) is one of the most celebrated events in Korea. 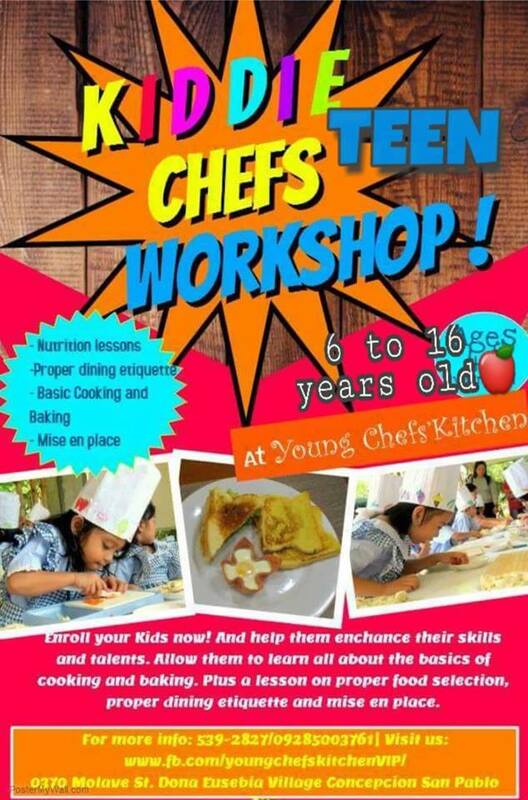 It's also one of the oldest festivals, with a history spanning over 1200 years. Originally an event with Buddhist significance, this occasion has now become a cultural festival celebrated by everyone in Korea. 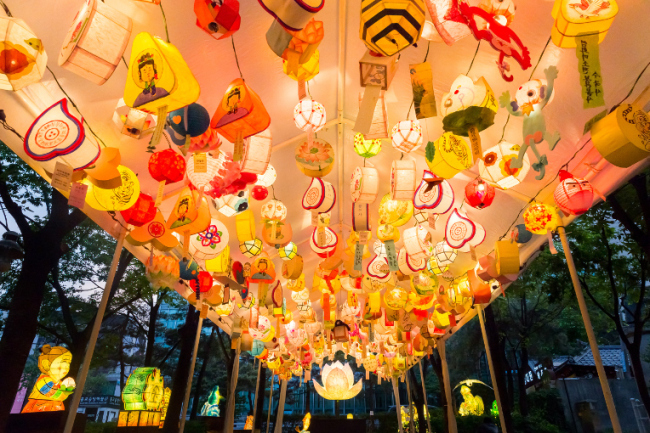 Traditional lanterns in various colors, shapes, and sizes are hung all over downtown Seoul, and both Bongeunsa and Jogyesa temples host various cultural performances for locals and tourists to enjoy. 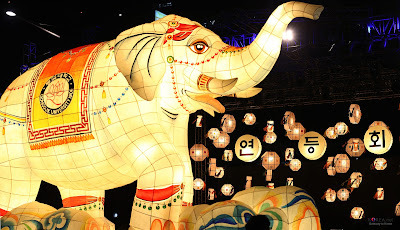 The highlight of this festival is the Lantern Parade, where thousands of lanterns illuminate the metropolis and create an illusion of stars streaming through the milky way. 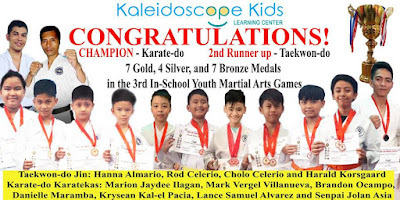 In the previous years, more than 300,000 Koreans and 50,000 foreigners have participated in this event, and is said to be the biggest of its kind in the world. To get to Jogyesa Temple, take Jonggak Station (Line 1) Exit 2. Walk straight for about 200m to arrive at Jogyesa Temple. Boseong Green Tea Festival (May 2-6, 2019). The picturesque hillside of Boseong. Boseong, an idyllic town in South Jeollanam-do, is said to be the birthplace of the commercial tea industry in Korea. 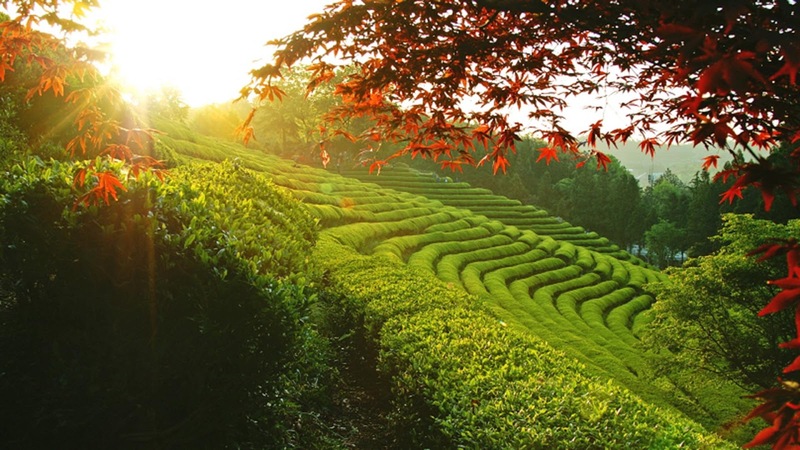 It accounts for 91% of the total green tea production in the country, and is home to the nation's oldest tea plantation. In the spring, these seemingly endless fields of green welcome visitors from all over the country to the Boseong Green Tea Festival, a celebration of the town's booming green tea industry and rich cultural heritage. 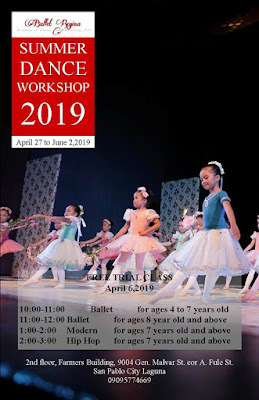 Various programs and workshops are scheduled during this five-day event, but the hands-on activities such as picking tea leaves, making tea, and preparing green tea snacks are the real crowd favorites. From Seoul Express Bus Terminal, take an intercity bus to Boseong (보성) or to Gwangju (광주). From the Boseong Bus Terminal, take a Boseong-Gunhak (보성-군학) route bus to Daehan Dawon (대한다원). From Gwangju U-Square Bus Terminal, take an intercity bus to Boseong (보성). A sea of yellow at Seoraeseom Island. The canola flower, also known as yuchae, is one of the spring flowers that represent Jeju. But that doesn't mean these dainty yellow blooms can only be found there. Sure, Jeju Island is home to the longest-running canola festival in the Korea, but you don't need to go that far just to see the canolas. 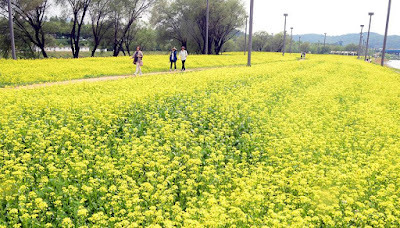 At Seoraeseom Island, a small (artificial) island located between Dongjakdaegyo Bridge and Banpodaegyo Bridge, you'll find canola flowers blooming in full glory by mid-May. 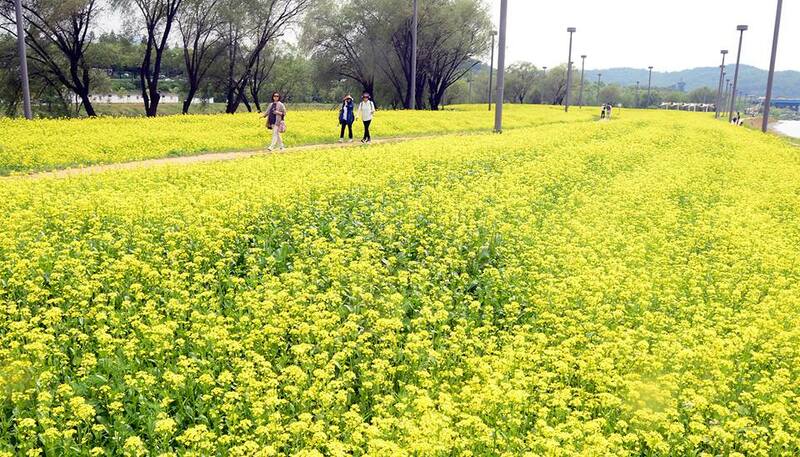 The Hangang Seoraeseom Canola Festival is held around this time, and gives visitors the opportunity to capture beautiful memories of spring. During the festival, visitors can enjoy many photo zones, culture and art performances, and hands-on activities all over the island. To get there, take Gubanpo Station (Seoul Subway Line 9), Exit 2. Go 370m towards the Olympic-daero Highway. Follow the street signs for Hangang Park to arrive at Banpo Seoraeseom Island. Seoul boasts of not one, but two Rose Festivals in the spring - the Seoul Rose Festival held in Jungnang-gu, and the Seoul Grand Park Rose Festival held in Gwacheon. I have attended both festivals during my previous trips to Korea, and although they're both fun, lively, and lovely, I prefer the latter in terms of diversity of species, available facilities, and the size of the area. 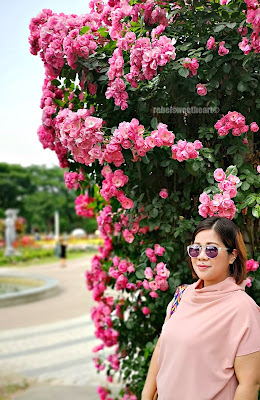 The Seoul Grand Park Rose Festival usually kicks off in the last week of May until the first week of June, and is held at the botanic garden of the Seoul Grand Park. Visitors will marvel at the beauty and splendor of more than ten million roses sprawled across the 10-acre garden. Workshops, concerts, and cultural events are some of the highlights of this annual event, and these activities are all free of charge. 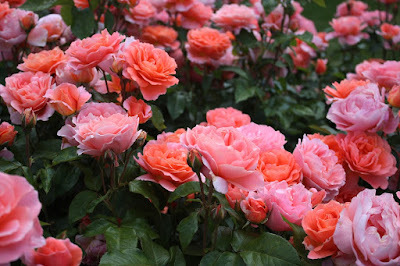 At least year's Seoul Grand Park Rose Festival. To get to the Seoul Grand Park, take exit 2 of the Seoul Grand Park Station (Line 4). 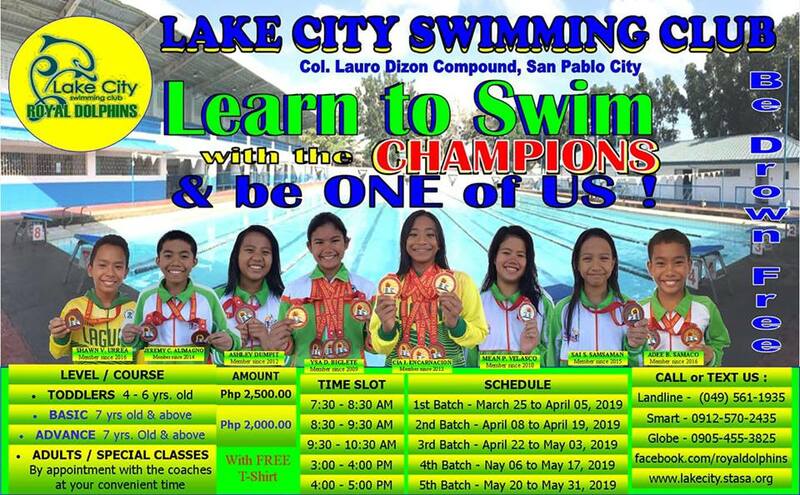 Ready to experience the beauty of spring? Which festivals are included in your itinerary? Do you want to add a personal touch to your uniform, shirt, or jacket? Then the answer for this need is a custom embroidered patch. If you have a specific design in mind, then you can simply get a custom-made embroidered patch that can make whatever you are wearing stand out from the crowd. 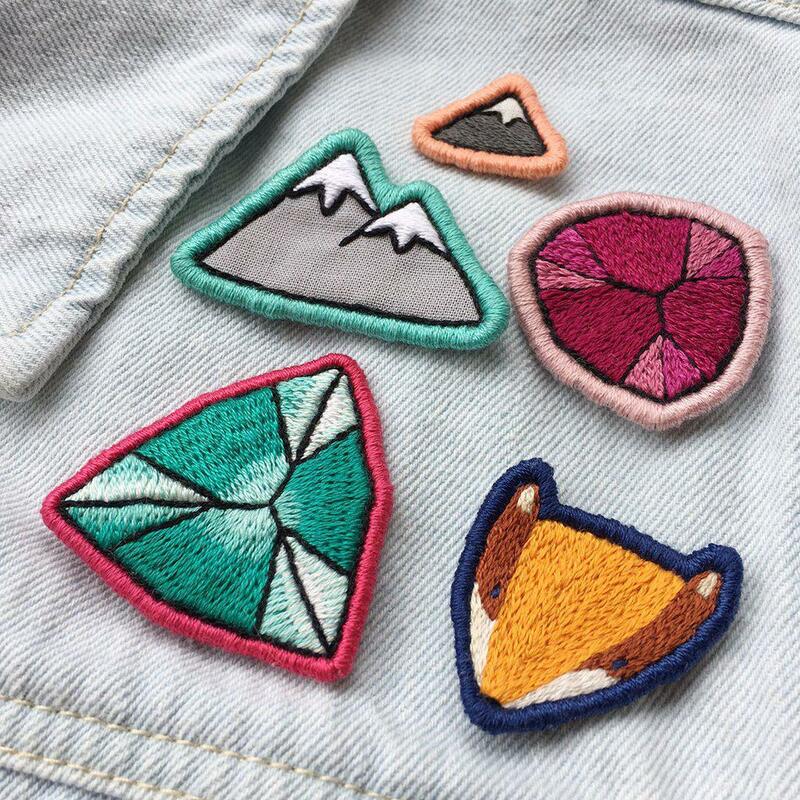 Patches add a personal touch to your outfit. This is also known as a cloth badge. This is a kind of embroidery that is made of thread. It shows a specific design. Generally, the common patch is backed by fabric. The thread used can be made from a single color or several colors depending on the embroidery’s design. 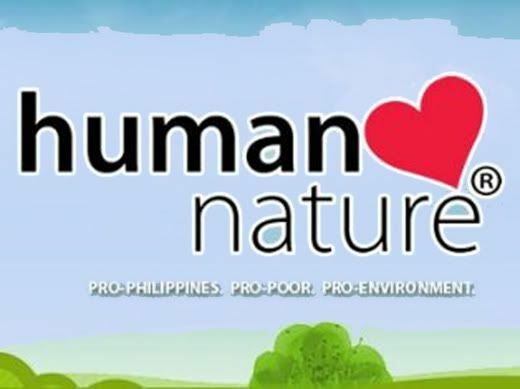 Know more about these patches in this link. The patches are usually sewn into shirts using adhesives, thread, pins, and a lot of other methods. When did the Embroidered Patch become Popular? Thousands of years ago, a lot of old cultures from the Middle East, South America, and the Mediterranean used stitches and fabric decoration designs in order to embellish the robes of religious people or royalties. A person who wears robes with elaborate stitches mean that he might be an important official or he belongs to the elite. In today’s times, these patches are made to identify somebody that is in the military or in the police. A lot of military forces use embroidered patches so that they can be easily seen in public. There are also companies, sports team, or private individuals who use these patches in order to denote that they belong to a specific organization. Others prefer embroidery directly sewn on their shirts for design. What Do You Consider as a Patchwork? A patchwork is a kind of technique that involves putting together small pieces of fabric in order to create art. 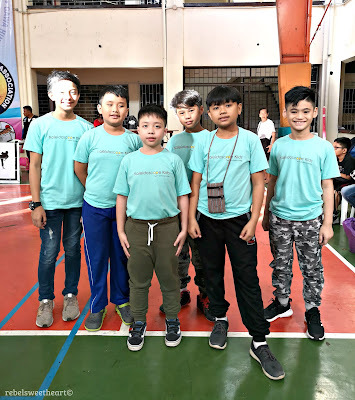 There are a lot of colors, patterns, textures and geometric designs available that the maker can sew into a specific kind of logo. This logo can depend on the client’s preference. This is also the technique in making patchwork quilts. However, the clothing interior and design have adopted this to be one of the popular trends of today’s times. They should let you create the design. 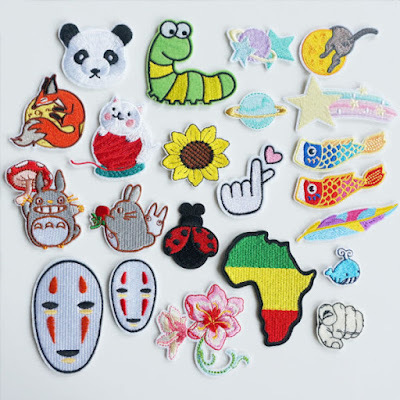 As there are a lot of companies out there that can recommend different kinds of patches for you, you should still be able to decide the design yourself. 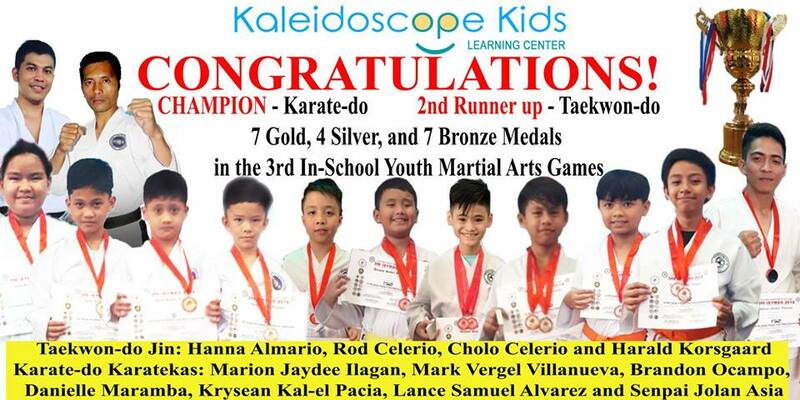 After all, it is you who is going to wear it on your denim jacket or on your uniform. Find a company that will let you input ideas, upload your preferred digital patch image, and can provide artful suggestions on how to improve the image without making too many changes on it. 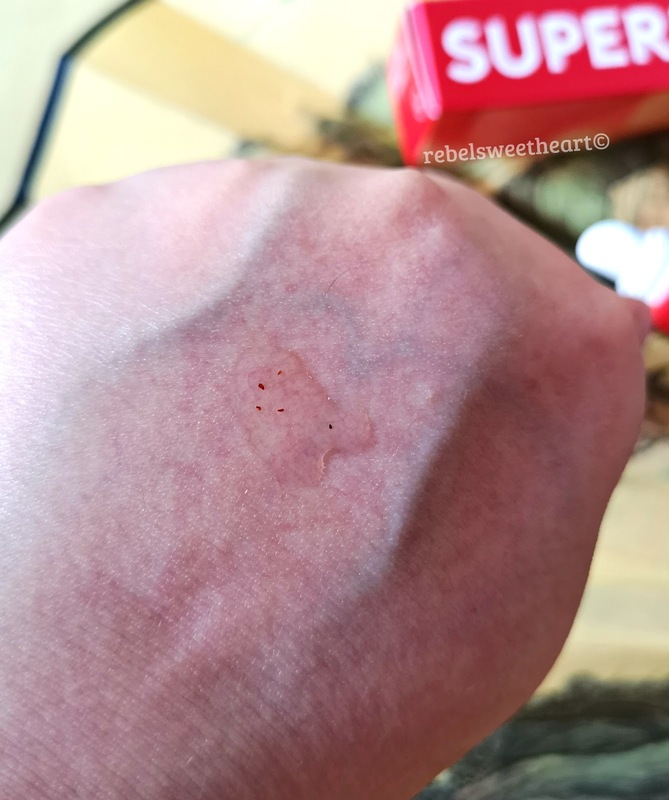 The size and the length of the patch should be clearly shown on a computerized image that is sent back to your email for your review. They should give you information that you need. The right patch store will make a price quote after they see the initial design. They should also add if there are minimum and maximum orders that you should know about. If the minimum order quantity is more than 300, then that’s a good sign that you are in good hands. 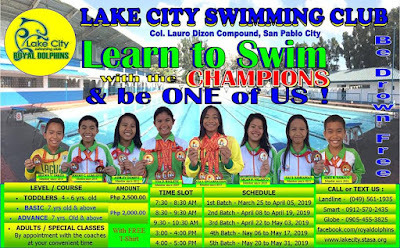 If you are in a rush to complete your orders, ask them if they can deliver it to you at the soonest time possible. The companies should offer you plenty of patch border options. There are die-cut and merrowed patch borders. The merrowed borders are slightly raised on the outside borders. 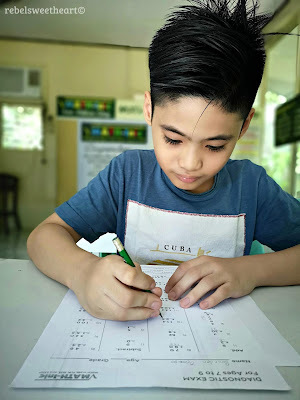 They can have shapes that include circles, ovals, squares, and other designs that are not too complicated to make. On the other hand, there are die-cut borders that have complex shapes and protruding edges. There should be no price difference between the two regardless of the border that you have chosen. Inform you about free thread colors. With patch embroidery, it can be possible that there will be more than fifty colored threads involved. Usually, companies can inform you if you are able to get 10 to 15 free colorful threads. You have the option to select your twill’s color if you opt for a 99% embroidery. Get more information about embroidery in this site: https://www.dictionary.com/browse/embroider. You may or may not be an expert when it comes to choosing the right colors that can stand out. 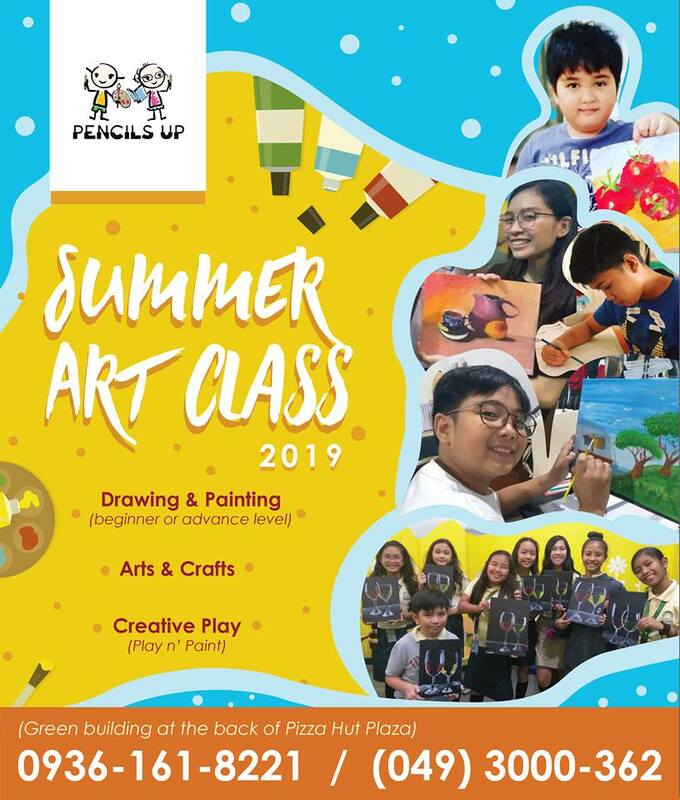 However, the right company can certainly recommend the right colors that can suit your design in the best way possible. Many choose embroidery because they are eye-catching and beautiful. 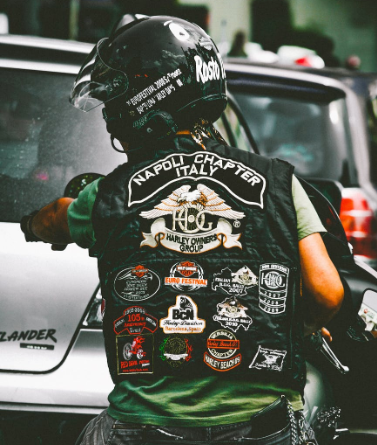 However, there are certain limitations when it comes to the design of your patches. You must make sure that any words on your patch are readable. You may also want to have a simple design especially if your patch will be placed on a uniform. Your designs should not be too crowded to look at. You can focus on a single side of your patch design and remove tiny elements. Sometimes, these tiny elements make the design too crowded to look at. Make the overall look simple and elegant. Consider giving space to the important elements. Embroidered patches are attractive decorations on your uniform or clothes. You have to find the right company that can make your patch design into reality in the least possible amount of time. There are a lot of things that you need to consider before getting the help of a company. Make sure to ask the proper questions before you consider them. Work only with the experts and professionals in the field. Read more about patch designs on sites and magazines in order to know more about them. I love lip care products as much as I love lip tints and lipsticks. 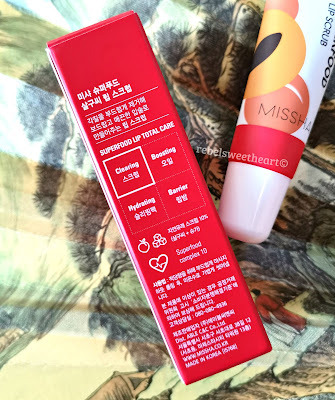 As such, when I chanced upon the Missha Superfood Apricot Seed Lip Scrub back in stock on the Althea website, I purchased it (together with the rest of my Lunar New Year haul) without a moment's hesitation. I've been eyeing this product since December, but it was always out of stock whenever I checked on Althea. 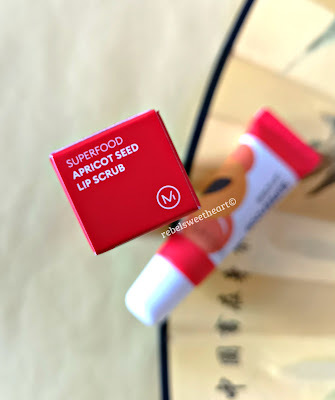 Missha Superfood Apricot Seed Lip Scrub. 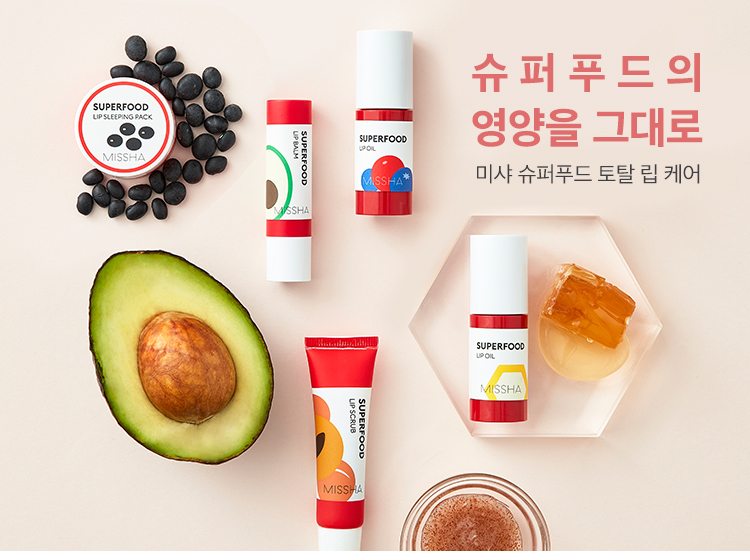 So anyways, the Missha Superfood Apricot Seed Lip Scrub is a lip care product that softly exfoliates and smoothens rough lips. This lip scrub is part of Missha's new Superfood line, which features lip care products made with nutrient-rich food/ingredients. Apricot is considered a superfood because of its powerful antioxidants that protect the skin against free radicals, and its laetrile content, a substance known for its ability to fight cancer. In terms of lip/skin care, apricot seeds make great exfoliants. This product is also blended with shea butter and three kinds of naturally-derived oil extracted from jojoba seed, argan, and camellia. All these ingredients condition and moisturize the lips and make them soft and supple. 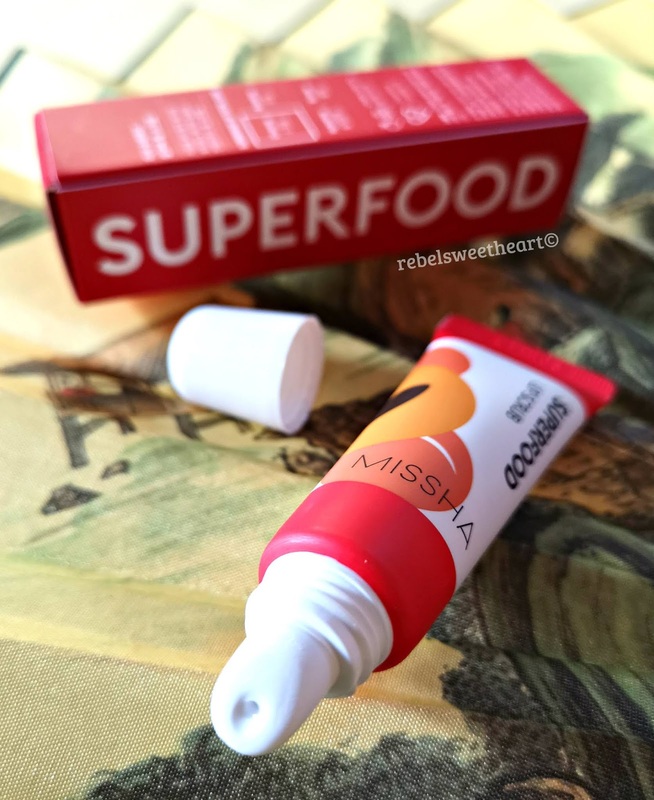 The Missha Superfood Apricot Seed Lip Scrub comes in a handy squeeze tube, small enough to fit in your purse and even in your pocket. To use, simply squeeze out a moderate amount of the product on your lips, gently massage in circular motions, then rinse in lukewarm water. I like how this lip scrub buffs away the dry patches on my lips without being abrasive, and how my lips look plump and healthy after every use. Yue tried this product too, and he says he likes this more because it does not have that bitter taste that the Bubi Bubi Lip Scrub has. It tastes sweet, actually, and has a lovely, fruity scent. A small amount of the lip scrub, with tiny bits of exfoliant in it. Yue and I both love the results of the Missha Superfood Apricot Seed Lip Scrub, and this will be our go-to lip scrub - at least for now. 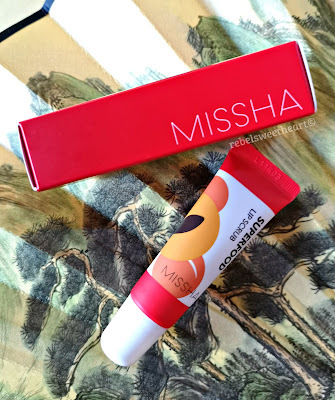 Not only does it bring dry lips back to life, it's quite reasonably-priced too - just Php 240 for a 9.8 gram tube. Yue's lips BEFORE using the Missha Superfood Apricot Seed Lip Scrub. 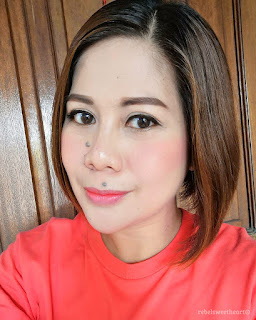 Yue's lips AFTER using the Missha Superfood Apricot Seed Lip Scrub. Now I'm looking forward to trying the rest of the products in the Missha Superfood line. I hope they'll be available on Althea soon! Missha Superfood Barley Lip Oil, Missha Superfood Honey Lip Oil. I have a love-hate relationship with summer, particularly this kind of summer that we're experiencing right now in the Philippines. 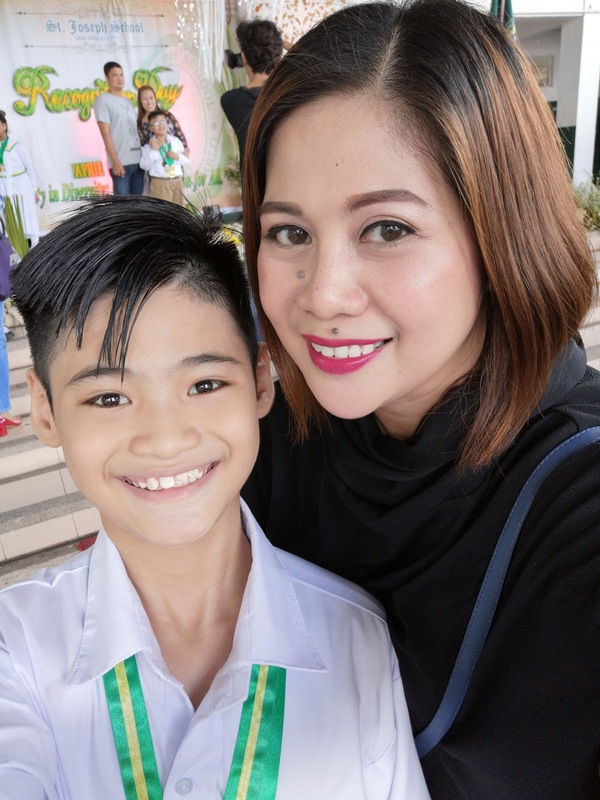 I love that my kid is on a school break which gives us a chance to travel; I hate how the hot and humid weather takes a toll on my body, particularly on my lungs (asthma) and on my skin (allergies, red and blotchy skin). These are the reasons why I am only too happy with the newest additions to Althea's very own skincare line. They came in the mail a few days ago, and they couldn't have come at a better time. 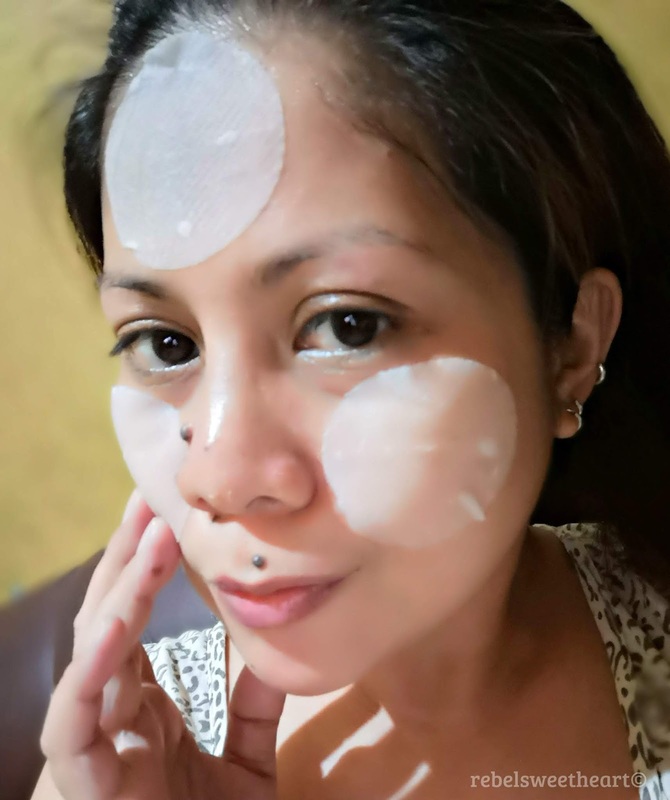 My skin needs all the help it can get to keep it hydrated and moisturized in this sweltering heat, and to prevent those red, blotchy spots from appearing on my face. 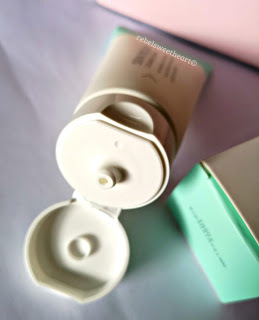 The latest from Althea - the Skin Relief Calming Cream and the Waterful Green Bamboo Pads. 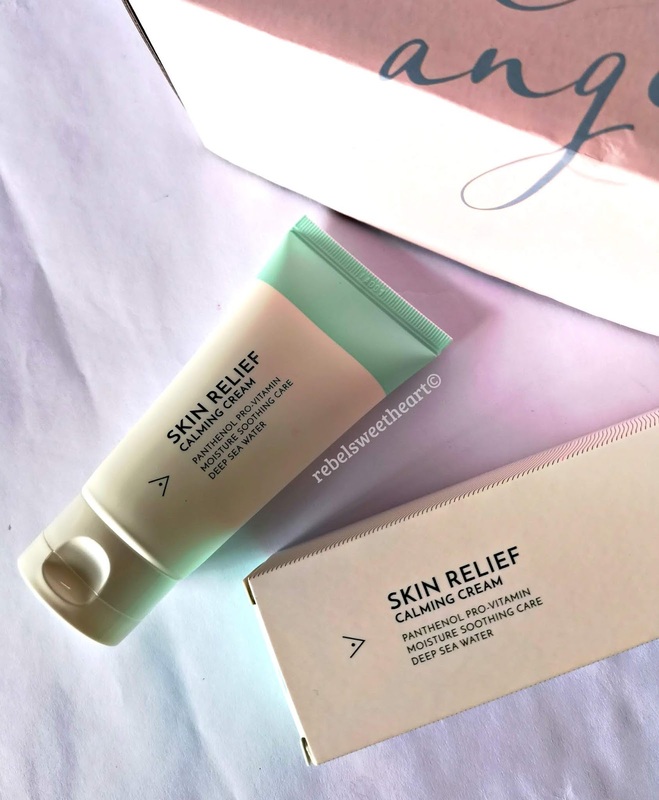 Like a gift from the gods, the Althea Skin Relief Calming Cream is a lush facial cream that hydrates, soothes, and repairs skin from damage caused by irritants and harmful external pollutants. 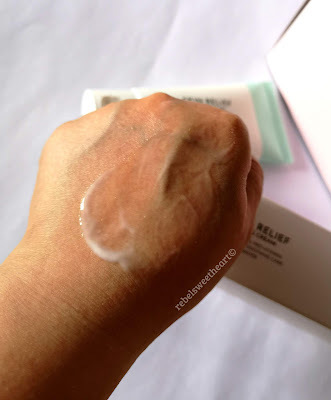 Althea Skin Relief Calming Cream, Php 560. It's formulated with panthenol, a substance derived from vitamin B that soothes the skin and helps strengthen its protective barrier. 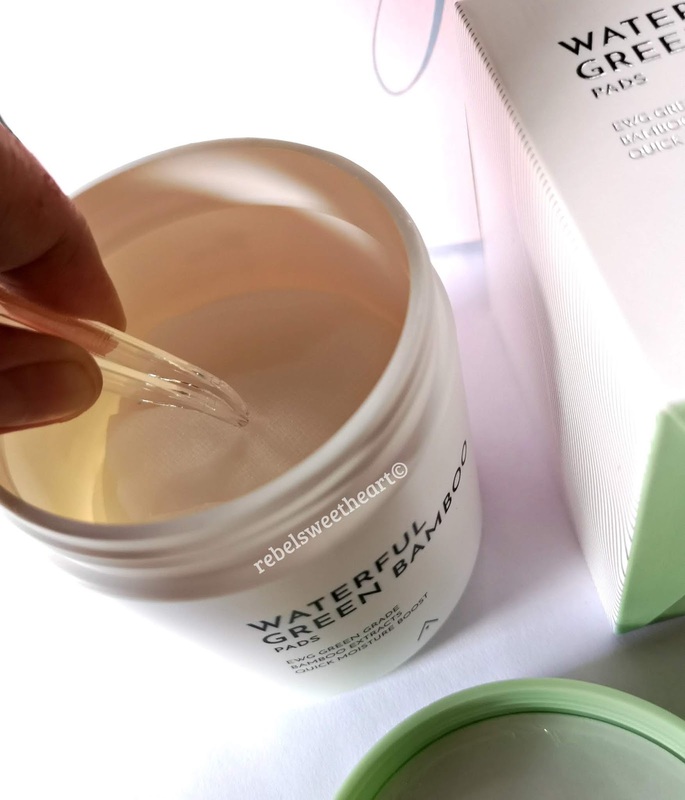 It's also infused with seawater and chamomile water which help the skin retain its moisture, plus a mix of shea butter and hydrogenated lecithin that nourishes the skin and protects it against harmful external factors such as dust, smoke, and pollution. Another note-worthy ingredient is the Centella asiatica extract which 'calms' the skin and repairs it from damage. It comes in an 80 mL squeeze tube. This product has a light, watery consistency despite the initial creamy appearance, and has a soft, citrus-y scent which reminds me of tangerines. It's non-sticky, non-greasy, and is easily absorbed by the skin. I love how my skin feels soft and refreshed after every application, but what I love more about this product was how it got rid of the red, blotchy patches on my face overnight. 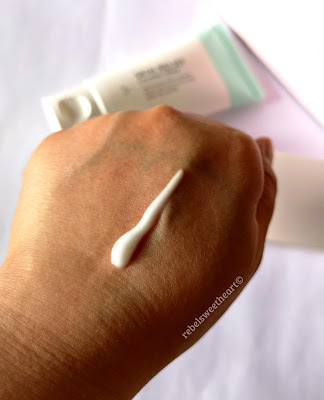 I literally woke up to soft, clear skin with the Althea Skin Relief Calming Cream, and to say that I was impressed with this product would be a complete understatement. Light, watery texture when applied. Now if it's extra boost of hydration that you want, look no further as the Althea Waterful Green Bamboo Pads got you covered. 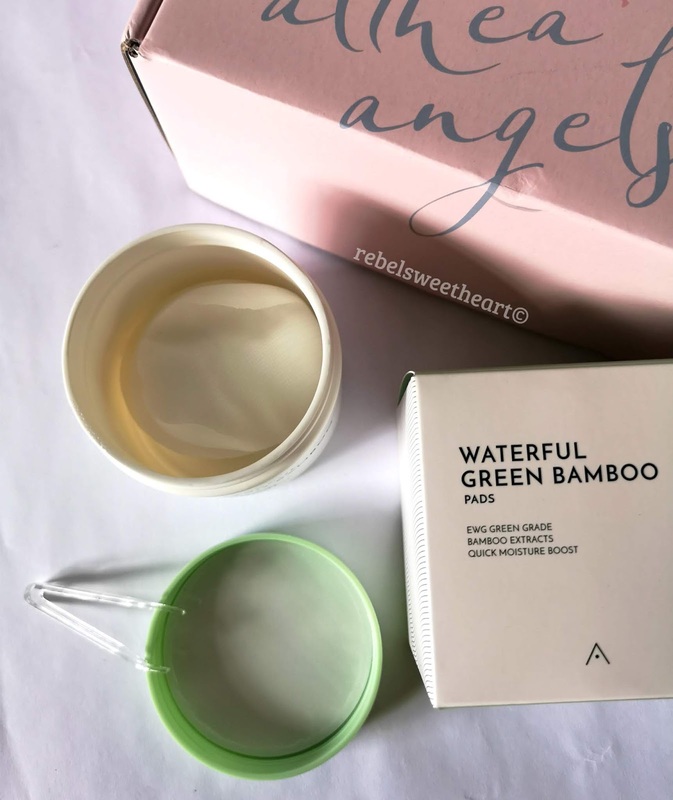 Althea Waterful Green Bamboo Pads, Php 700. These woven, gauze-like pads are infused with Bambusa vulgaris (bamboo) extract that's rich in minerals and amino acids. This product also contains extracts from Salix nigra (willow), known for its anti-inflammatory and anti-bacterial properties, and Centella asiatica, which soothes, treats, and repairs damaged skin. Comes with a small plastic tweezer. Each tub contains 80 pads. 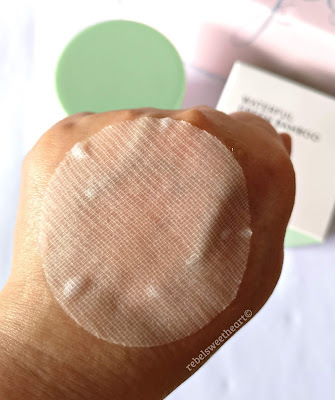 You can use these moisture pads two ways - as a toner or as a sheet mask. When used as a toner, you simply wipe the pad all over your face. These pads are pretty soaked, so you'll only need one for toning. Used as a sheet mask, the Althea Waterful Green Bamboo Pads provide a more concentrated dose of hydration. Simply put the pads onto targeted areas of the skin and allow them to sit for 10 to 15 minutes. I prefer using them this way, and I love how my skin feels softer, smoother, and firmer afterwards. Pampering at home with the Althea Waterful Green Bamboo Pads. 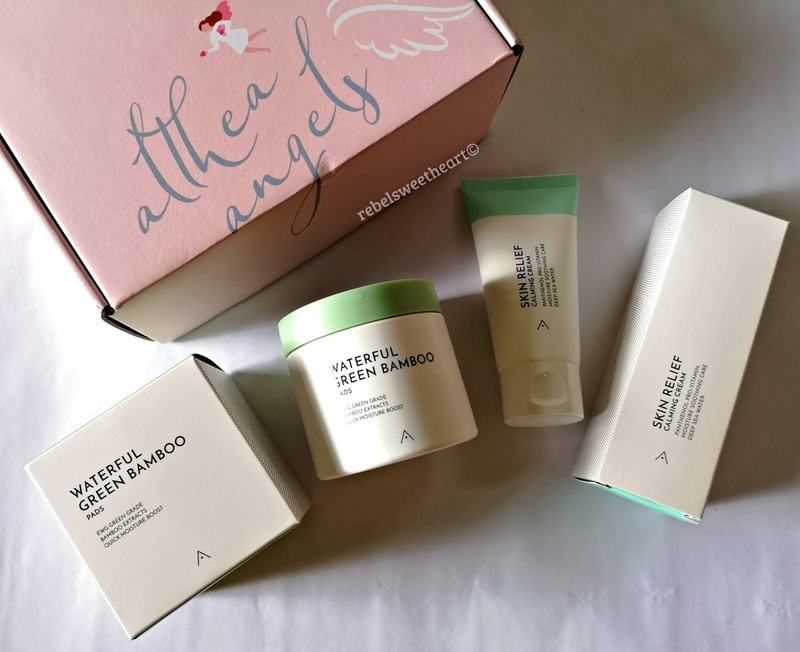 The Althea Skin Relief Calming Cream and the Althea Waterful Green Bambood Pads are both available at the Althea website. 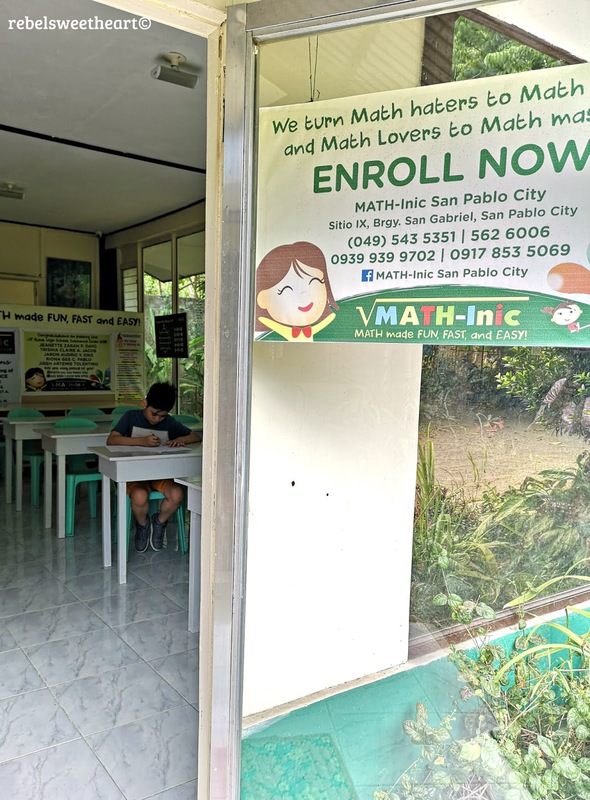 Shipping fee is waived for orders worth more than Php 1000, cash-on-delivery option is also available for orders worth more than Php 2000. New to the Althea community? 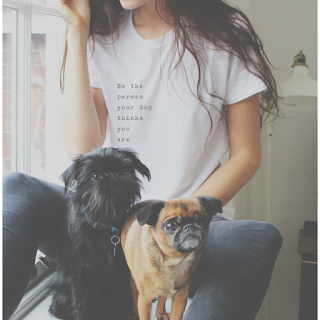 Get a 20% discount on your first order using my referral code. Summer is now in full swing here in the Philippines It's currently 33 degrees outside, the air is still, and the weather overall is just so uncomfortably humid. Now if you think that's hot (and annoying), brace yourself as the weather bureau has announced that it could be sweltering by the end of the month. Goodness! At times like these, I would rather stay in the comforts of my home lest my asthma acts up. If I need to leave the house, I'd be slathered in sunscreen and armed with an umbrella, wearing very little makeup or sometimes, none at all. Now speaking of makeup, I've been using a different primer since summer officially started. For the past two weeks, I've been using the Clio Kill Protection Sun Base and so far, so good. I bought these at one of the Clio stores in Myeongdong during my last Seoul Searching trip; they were having a 1+1 sale at that time so I got both variants of the sun base for the price of one (16000 Korean won - around Php 740 or $14). Clio Kill Protection Sun Base in Matte and Glow. 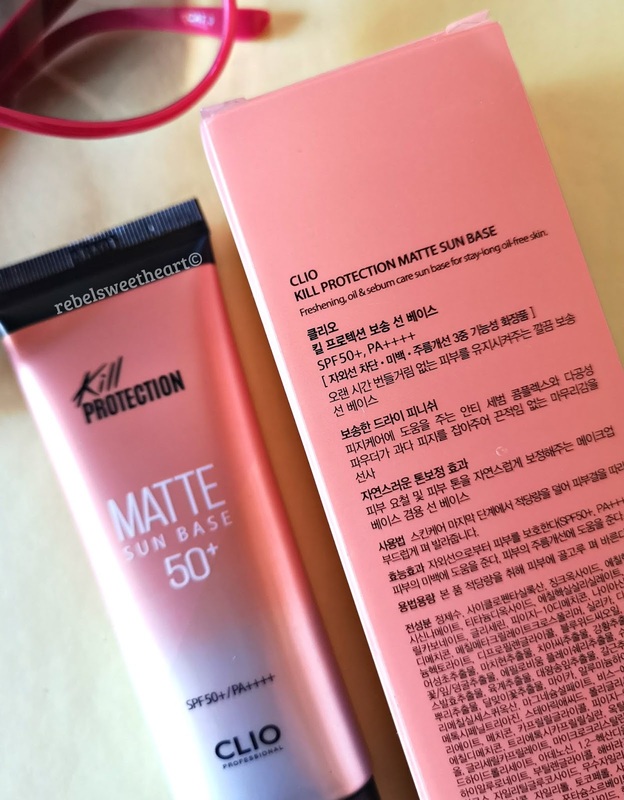 The Clio Kill Protection Matte Sun Base is a multi-function makeup base that controls oil, blocks harmful UV rays, and leaves the skin with a light, matte finish. It's enriched with silica powder to keep your face from turning into a greasy, shiny mess, and an anti-sebum complex composed of evening primrose, arrowroot, pine leaf, and elm extracts, to keep the oils at bay. 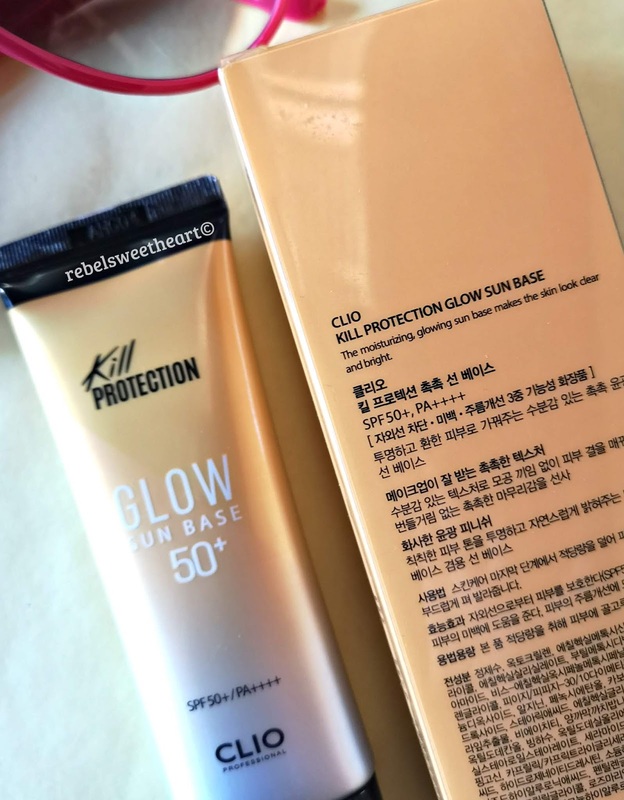 Clio Kill Protection Matte Sun Base, SPF 50+ PA++++. Lightly-tinted with a hint of powdery fragrance, the Clio Kill Protection Matte Sun Base evens out the skin tone and preps your skin for makeup. It feels soft and silky on the skin, the way setting powder does, and keeps your makeup intact for pretty much an entire day. It does, however, leave a slight white cast on the skin, which can easily be corrected with a translucent setting powder. Clio Kill Protection Glow Sun Base, SPF 50+ PA++++. On the other hand, the Clio Kill Protection Glow Sun Base has a gel-type formula that feels light and refreshing on the skin. It brightens the complexion as it covers minor skin imperfections, and leaves the skin feeling hydrated and moisturized, the way a facial essence does. Like the Matte variant, this product has a subtle, fresh fragrance that becomes more noticeable as you blend it out on your skin. Comes in 50 mL squeeze tubes. 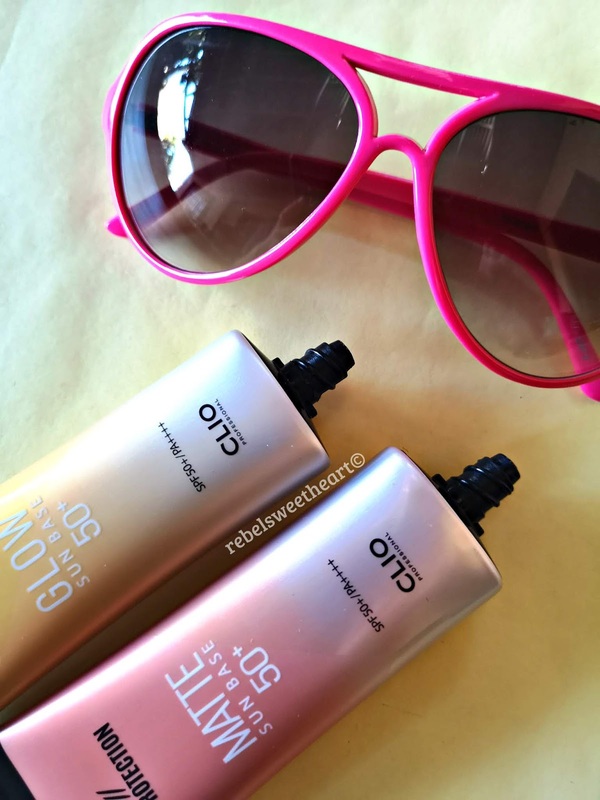 Aside from its sun protection benefits, the Clio Kill Protection Glow Sun Base also gives your face a lovely, glowing sheen. 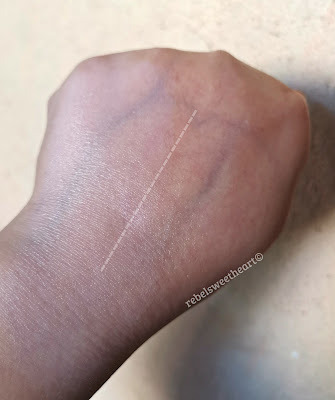 It may not be as highly effective as a makeup base compared to its 'Matte' counterpart (I have to retouch a few times a day whenever I'm wearing the Glow Sun Base), but the luminous, healthy finish and the 'glass skin' effect makes up for it. The swatches below will show you the difference between the two variants. Left: Clio Kill Protection Matte Sun Base. Right: Clio Kill Protection Glow Sun Base. The Matte variant is lightly-tinted and has a creamier consistency, while the Glow variant is colorless and has a gel-like consistency. 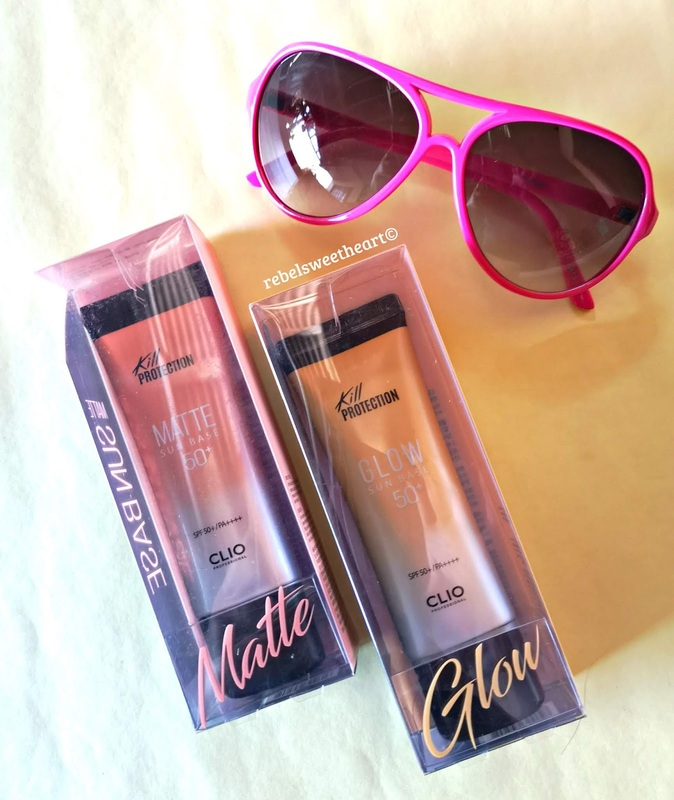 The Matte Sun Base has a thicker formula, while the Glow Sun Base goes on smoothly and is easily absorbed by the skin. The Matte Sun Base has better coverage but leaves a slight white cast, the Glow Sun Base has a sheer finish but makes the skin look dewy. 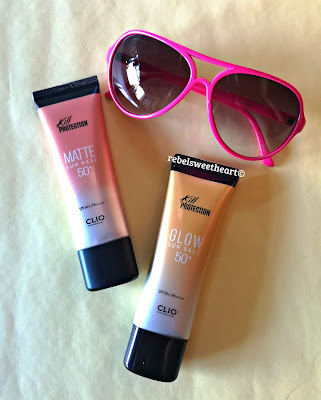 Personally, I am more partial to the Glow Sun Base because I'm a fan of the dewy makeup look. 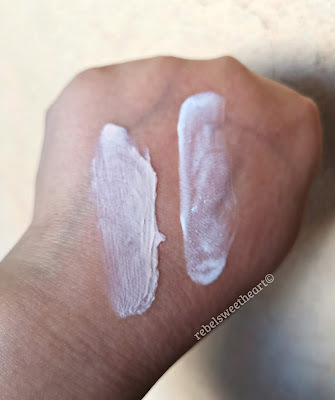 If you have dry skin, the Glow Sun Base will suit you better; but if you have oily skin, you might find the Matte Sun Base more to your liking. Both products have the ideal sun protection factor of SPF 50+ PA++++, and thankfully, neither of the two gave me allergies or broke me out. 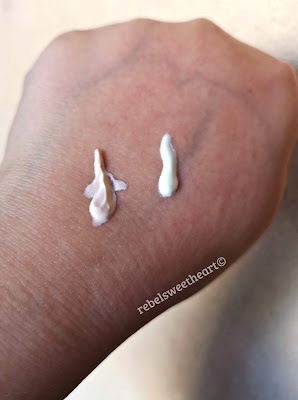 Wearing the Clio Kill Protection Matte Sun Base as my sunscreen/primer.